One of my favorite views in the eastern Sierra, located in the Owens River valley, lies Hot Creek Geological Site, where the Mammoth River is heated by magma roughly 3 miles from the surface. 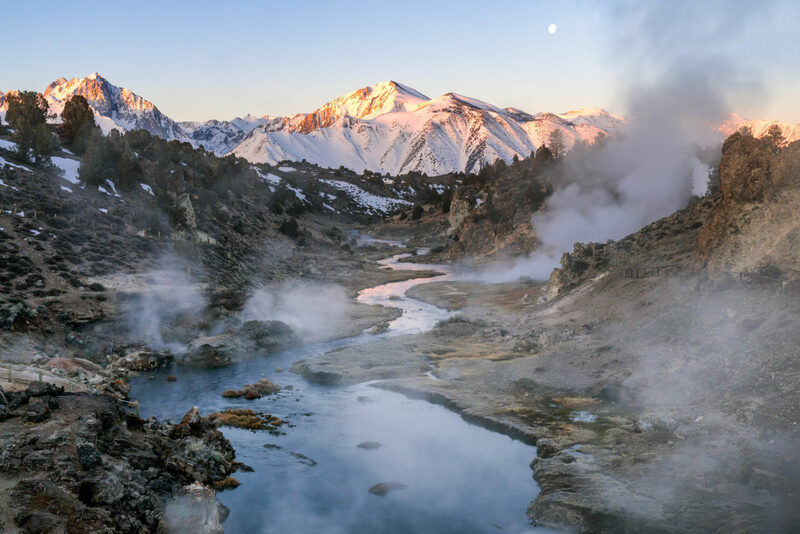 This beautiful, geologically active location is home to turquoise pools and thermal springs reaching up to 200 degrees causing this steam. The waning moon was setting over the snow capped Sierras at sunrise.